Most cannabis consumers know how to keep their treats safe. Apparently, anti-cannabis crusader Kevin Sabet lacks this skill. Anti-Cannabis crusader Kevin Sabet may have lost an ounce of edibles at a public forum in Boston. In an attempt to showcase the danger of infused candies, Sabet held up two clear, plastic bags of treats for the audience to judge. Yet, witness reports suggest that after the event, Sabet was found nervously searching for his treats. Kevin Sabet is on a tirade about cannabis gummies. He is the director of the Drug Policy Insitute and founder of the Anti-cannabis group Project SAM. Last month, he spoke on a panel on legalizing cannabis in Massachusetts. When these things are lying around – the reason the emergency admissions in Colorado for kids under five (and I don’t think Andrew would dispute this) has gone up significantly, uh, doubled, is because these kinds of things are lying around that are marketed – of course they’re marketed to young people, and young people are ingesting them. The baggies he holds contain well over an ounce of candies. Neither of them were properly labeled or in opaque packaging, like they would be if they were obtained from a legal, state-regulated facility. When he returned to the dais, the bags were gone. He was panicking, saying, ‘Someone stole the edibles.‘ He was searching the area, and asked if the cameras were still on, and if he could check the tape. That’s right, two WGBH attendees reportedly witnessed this famous anti-cannabis crusader losing a bag of potentially-infused candies. Whether or not Sabet actually had a bag of cannabis gummies is unknown. But, his carelessness is reprehensible. He held up candies in an unmarked bag, he had over the legal limit for THC-infused treats, he waved them around in a public place and then walked away from them. Is that an example of a responsible adult? No. Is this realistic of how cannabis is provided or sold in recreational or medicinal shops? Not at all. The vast majority of cannabis consumers understand that cannabis candies are for adults only. Warnings on cannabis packaging inform users to keep the snacks out of reach of children. 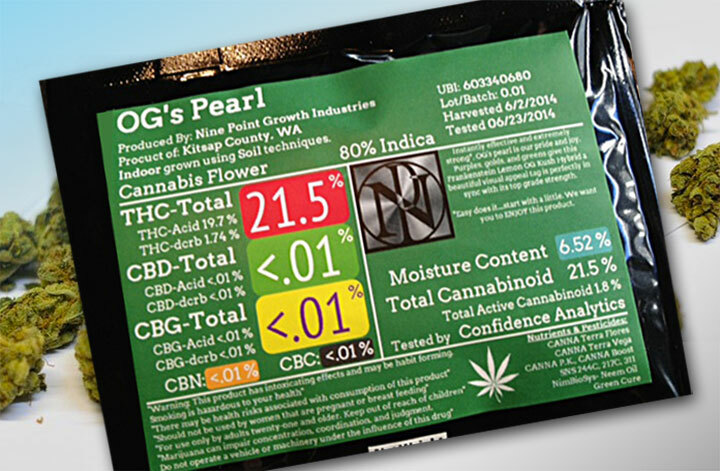 States like Colorado require cannabis products to be sold in child-proof packaging. Packaging is also required to be opaque. This means that the product should not be able to be seen by children when purchased. National standardization of these precautions would be extremely helpful in reducing risk, as not all states have adopted this program. Cannabis sites (including HERB) have written many articles informing consumers how to play it safe with edibles. Colorado has mandated that infused candy manufacturers avoid using common kid-friendly shapes. Oregon state has placed caps on the amount of THC a recreational edible can contain and the amount individuals can buy. Let’s take a closer look at Project SAM. The group was founded by Sabet and Patric Kennedy back in 2013. The following year, Kennedy joined over 2000 opponents of legalization at the annual Community Anti-Drug Coalition of America (CADCA) convention. Blocking cannabis reform and protecting youth are major goals of the organization. Funny thing, the convention was sponsored by Perdue Pharma, the manufacturer of OxyContin. OxyContin is the same drug abused by Kennedy in the early 2000s. In 2006, he was doped up on the “recommended amount” of prescription Ambien anti-nausea medication before driving into a Capitol Hill barricade. Yet, Kennedy and his ventures continue to accept financial support from the same companies that produce drugs which kill thousands of people each year. A 2014 investigative report published in The Nation points out that the board members of Project SAM are representatives from industries that benefit financially from cannabis prohibition. Once such board member is Dr. Stuart Gitlow, an outspoken anti-medical cannabis advocate who also happens to sit on the board for Orexo. Orexo markets an opioid substitute drug called Zubsolv. Zubsolv is similar to another opioid substitute already on the market, which has caused 400 deaths since 2003. Cannabis has caused zero recorded deaths, even when the herb is accidentally consumed by children. So, what is the real reason behind Sabet’s tirade? Unless you’re a mind reader, it’s difficult to tell. What can be said is that this baggie trick is a scare tactic. A tactic that unfortunately doesn’t address the ways cannabis is presented when acquired from state-regulated facilities. Though, Sabet is correct about one thing: keep your infused-foods away from children.